This camp focuses on the dance rehearsal process. 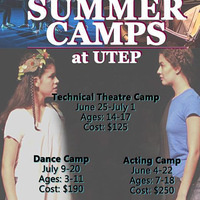 All students will learn the fundamentals of the performance process of dance culminating in a live performance for family and friends on the last day of the camp. Cost: $190. Please visit website, for details.